February 6, 2018—–Besides being a successful author, Jotstein Gaarder works to support both human rights and a sustainable environment. Gaarder clearly states our current world condition concerning the cause and effect of climate change in the following article, which is the foreword to his 20th addition of Sophie’s World. 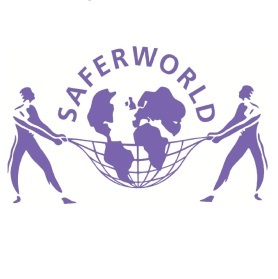 Sophie’s World is a novel he wrote in 1995 which became a best seller around the world. “Two decades ago, a history of philosophy by an unknown Norwegian teacher became a most unlikely phenomenon. But how has time changed the writer? And how might he change his book now, if he could? 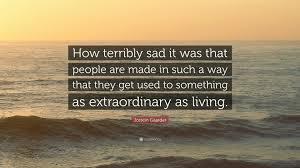 Jostein Gaarder takes up his own story. However, by far the most important philosophical question of our time must be this: how are we going to save our civilization and the basis of our existence? From time to time I am asked a question. If I had written Sophie’s World today, is there something important I would have added? Is there something I would have placed more emphasis on? The answer is a resounding yes! If I were to write a philosophical novel today, I would have focused a lot more on how we treat our planet. It is strange to look back after only 20 years and realize that Sophie’s World doesn’t really address this question. The reason may be that over the course of these 20 years we have gained an entirely new awareness of climate change and the importance of biological diversity. An all-important principle in the study of ethics has been the golden rule, otherwise known as the reciprocity principle: do to others what you would like them to do to you. Over time, we have learnt to apply this rule more widely. In the Sixties and Seventies, people came to realize that the reciprocity principle must apply across national borders, both to the north and to the south. But the golden rule can no longer just apply across space. We have begun to realize that the reciprocity principle applies across time, too: do to the next generation what you would like them to have done to you, had they lived on the planet before us. It’s that simple. Love thy neighbor as thyself. Obviously, this rule must apply to the next generation and to everyone who lives on the planet after us. They are human beings, too. Therefore, we should not leave behind a planet which is less valuable than the one we have enjoyed. A planet with fewer fish in the sea. Less drinking water. Less food. Fewer rainforests. Fewer coral reefs. Fewer species of animals and plants… Less beauty. Less wonder. Less splendor and happiness. The 20th century has taught us that people need conventions and obligations which go beyond national boundaries. The question we are left with at the beginning of the 21st century is: for how long can we claim human rights without accepting they come with fundamental obligations. The time is ripe for a Universal Declaration of Human Obligations. It no longer makes sense to think about an individual’s rights and freedoms without also thinking about the responsibility of individuals and individual states – not least our responsibility to safeguard the rights of future generations. At this very moment we are experiencing the consequences of man-made climate change. They are dramatic. However, opinion polls indicate that the people of this world are not particularly concerned. One day in the future, global-warming denial may be considered one of the greatest conspiracies of all time. The era we live in is exceptional in every way. On one hand, we belong to a triumphant generation, which can explore the universe and map the human genome. On the other, we are the first generation seriously to lay waste to the environment. Human activity is draining resources and destroying natural habitats. We are changing our surroundings to such an extent that people think of our time as an entirely new geological era. Huge volumes of carbon are contained in plants, animals, the sea, oil, coal and gas. The carbon is just itching to be oxidized and released into the air. The atmosphere on dead planets such as Venus and Mars is mostly CO2, and that would also be the case here if the Earth’s processes didn’t hold the carbon at bay. But from the end of the 18th century, fossil fuels have tempted us like the genie in Aladdin’s lamp. “Release us,” they whispered. And we gave into that temptation. Now we are trying to force the genie back inside the lamp. 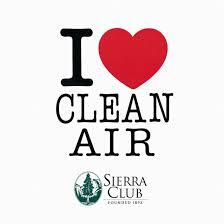 If all the remaining oil, coal and gas on this planet is extracted and burnt, our civilization will not survive. But many people and many countries see this as their divine right. Why shouldn’t they use the fossil fuels on their land? Why shouldn’t countries with rainforests chop them down? What’s the difference? What difference will it make to CO2 levels or to biodiversity if one country stops while the rest carry on? Over the past few centuries, most people here in Norway have been lifted out of poverty. The same is true in many regions of the world. We should not forget that. But this prosperity has come at a high price, a debt we are only now beginning to pay off. Before the Industrial Revolution, the atmosphere contained 275 CO2 parts per million. At the moment of writing, that figure is 400 ppm and it is still rising. 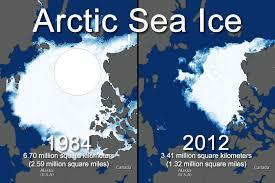 Devastating climate change is unavoidable at this rate. Sooner or later we must attempt to return to pre-industrial CO2 levels. According to Dr James Hansen, considered by many to be one of the world’s leading climate researchers, we must – initially at least – get this level down to 350 ppm. Only then can we feel reasonably secure that we will escape the worst catastrophes for this planet and for our civilization. But the figure is not going down. It is going up. If we are to save biodiversity, we need to revolutionize our thinking. Living as though everything centers on our time is just as naive as thinking the Earth is flat. Our time is no more significant than future times. It is only natural that our time is the most significant to us. But we cannot live as though our time is also the most important one for those who come after us. We must respect future times as we respect our own time. In relationships between individuals and between nations, we have emerged from our “natural state”, characterized by the survival of the fittest. But when it comes to the relationship between generations, unbridled lawlessness still reigns. Everyone has the right to practice their beliefs, and everyone has the right to hope that our planet can be saved. But that does not guarantee that there will be a new heaven and a new earth awaiting us. It is unlikely that supernatural forces will bring about a Judgement Day. But it is inevitable that we will be judged by our descendants. Climate change comes down to greed. The destruction of biodiversity comes down to greed. But greed does not trouble the greedy. History is our witness. The ethical question is not difficult to answer – what is difficult is living by the answer. But if we forget our descendants, they will never be able to forget us. The question of how widely we should apply the reciprocity principle comes down to identity. What is a human being? Who am I? If I were merely myself – that is, the body sitting here writing – I would be a creature without hope. But my identity goes deeper than my own body and my own short time on Earth. I am a part of – and I take part in – something which is bigger and greater than myself. Humans tend to have a local and short-term sense of who they are. We used to have to scan our surroundings, wary of dangers and prey. That gives us a natural tendency to defend ourselves and protect our own. But we do not have the same natural tendency to protect our descendants, not to mention species other than our own. Favoring our own genes lies deep within our nature. But we don’t have the same instinct to protect our genes four or eight generations down the line. That is something we must learn – just as we had to learn to respect human rights. Ever since our species emerged in Africa, we have fought a determined battle to prevent our branch of the evolutionary tree from being cut off. That battle has been successful, for we are still here. But we have become so prosperous that we are threatening the basis of our own survival. We have become so prosperous that we are threatening the basis of every species’ survival. As clever, vain and inventive as we are, it is easy to forget that we are simply primates. But are we really so clever if we put our cleverness and inventiveness ahead of our responsibility for the future of the planet? No longer can we think only about one another. 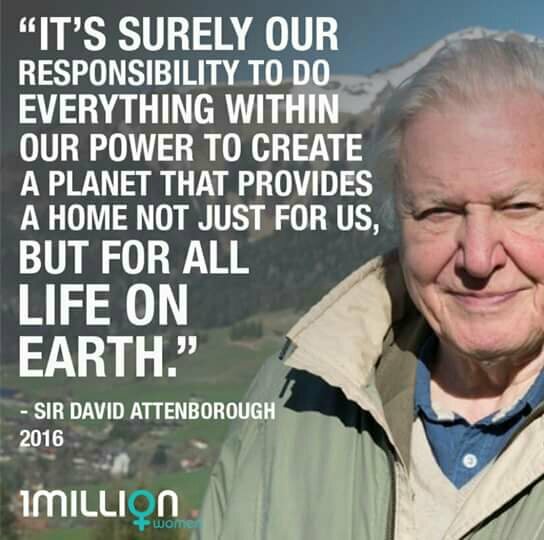 The planet we live on is an essential part of our identity. Even if our species is destined to die out, we still carry an important responsibility for this unique planet and for the nature we leave behind. Modern humans think we are almost entirely shaped by our cultural and social history, by the civilization which produced us. But we are also shaped by our planet’s biological history. There is a genetic heritage as well as a cultural one. We are primates. We are vertebrates. It took billions of years to create us. Billions of years to create a human being! But are we going to survive the next millennium? What is time? First we have the horizon of the individual, then of the family, of culture and of literary culture, but there is also geological time – we come from tetrapods that crawled out of the sea 350 million years ago – and finally, there is cosmic time. Our universe is almost 13.7 billion years old. But in reality, these periods of time are not as distant from one another as they may seem. We have reason to feel at home in the universe. The planet we live on is precisely one third of the age of the universe, and the class of animals to which we belong, the vertebrates, has existed for a mere 10 per cent of the time our solar system and life on Earth have existed. The universe is no more infinite than that. 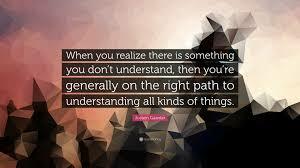 Or conversely: our roots and our kinship are intricately and deeply woven into the universal soil. This is the foreword to the 20th anniversary edition of ‘Sophie’s World’ (Weidenfeld & Nicholson, £8.99) published 8th October 2015. Translation © Paul Russell Garrett 2015 is published 8th October 2015. Categories: Climate Change, Fossil Fuels, Solar | Tags: #climatechange, #renewableenergy, Fossil fuel, Jostein Gaarder, Renewable Resources | Permalink. January 28, 2018—- Co-location means two or more groups, sharing the same place. 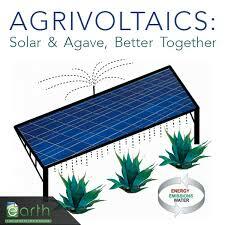 Agrivoltaics, also known as Agrophotovoltaics, means using the same piece of land for solar power plus agriculture. Agrivoltaics, or solar farming, is a new way of growing plants, combining agriculture with energy efficiency while growing plants beneath solar panels. In 1981, Adolf Goetzberger and Armin Zastrow developed the idea to improve overall production of crops. Dr. Goetzberger founded the Fraunhofer Institute for Solar Energy Systems in Germany. His work involved making solar an alternative to fossil fuels. In 1981, he published a paper titled, “Potatoes under the Collector,” which proposed a setup for solar energy systems in combination with agricultural land use. Dr. Goetzberger used the term Agrophotovoltaics or APV, as a method of harvesting the sun for both power and production of crops. APV is currently an ongoing project in Germany which demonstrates that land for both growing crops and solar electricity are compatible. Dual use of the land is resource efficient, reduces competition for land and opens up a new source of income for farmers. The APV system was installed on organic farmland in Germany in 2015. Approximately seven acres were used to produce crops under the ground-mounted solar panels, which were built about 5 yards off the ground. Four different crops were planted. 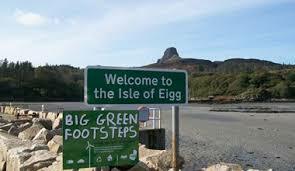 The land in use not only generates electricity from the solar panels but is also growing food. 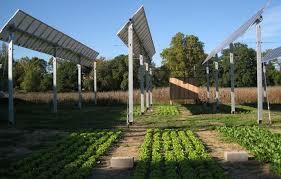 The solar panels provide a uniform light distribution on the crops using reflection. To prove their theory, they also planted a control plot nearby using the same 4 crops, excluding the solar panels. The scientists wanted to determine which crops would grow best. Result: The crops under the APV system produced about 80% of that of the control crop. This experiment is ongoing and data will be analyzed in 2018. 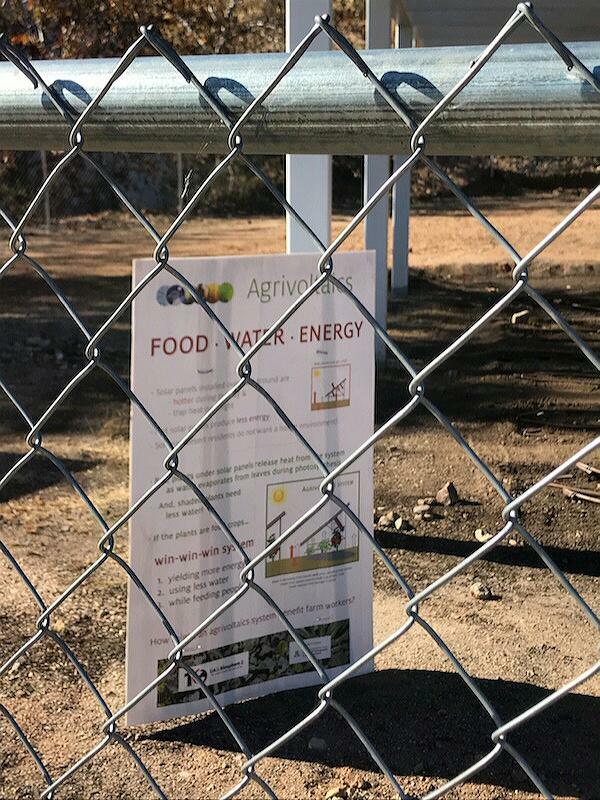 Agrivoltaics: Growing food to feed the planet. When solar panels get too warm they start to lose their efficiency. 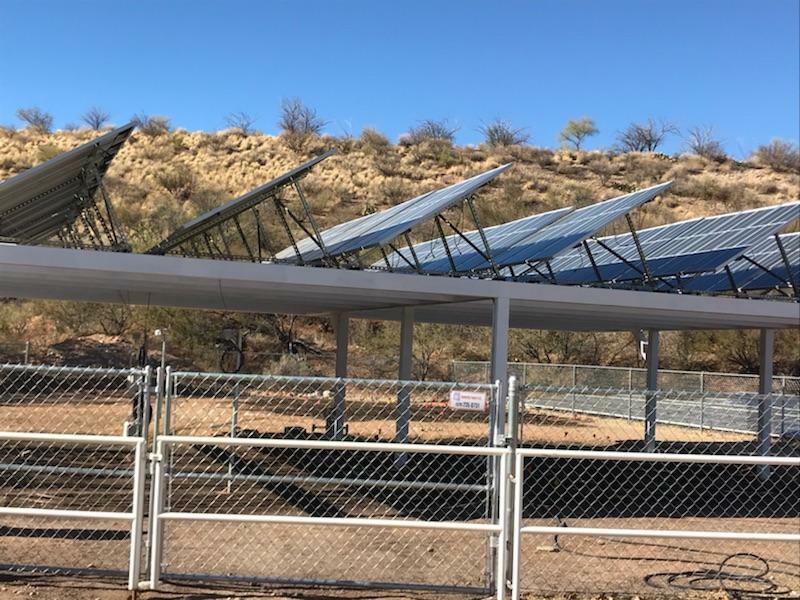 By growing plants beneath the panels they can cool down and retain that efficiency, which makes for more renewable energy per parcel of land. The panels also shade the plants, reduce evaporation and the crops require less water to grow underneath. 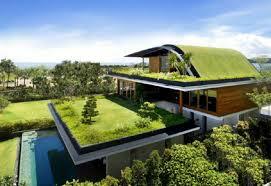 In the future, as world population grows, solar and land for food must not be in competition. The world population today is approximately 7.6 billion. Two hundred years ago it was 1 billion. At the close of the 21st century the population will be more than 11 billion. The question remains…will we be able to feed our planet’s population and meet the demand for clean energy? 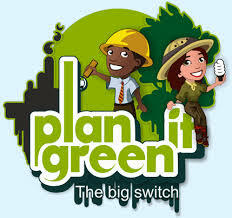 Categories: Building Green, Population, Renewable Resources, Solar | Tags: #climatechange, #renewableenergy, agrivoltaics, Climate change, Fossil fuel, Population | Permalink. Leo a 16 year old Junior and created this video for his Environmental Science Class. We are proud of you Leo and keep up the good work! Categories: Building Green, Fossil Fuels, Pollution | Tags: #renewableenergy, Climate change, computers and environment, Fossil fuel | Permalink. October 19, 2017—Even though Puerto Rico is going through a devastating time after the hurricane, it is essential that we not only meet the current needs of the people, but also think about its future….rebuilding sustainably. Areas devastated by wind and flooding must not only think about immediate needs, but consider the future way climate change may threaten vulnerable coastal areas. There is an agreement among scientists that our warming climate is producing larger, more aggressive hurricanes, and rising oceans are leading to stronger storm surges, destroying and flooding inland areas. According to the U.S. Energy Information Administration, Puerto Rico has some renewable solar, wind, hydropower and biomass resources, but relies primarily on imported fossil fuels to meet its energy needs, importing mostly from the U.S. In 2016, Puerto Ricans paid more for their power than people in any other state except Hawaii, with 47% of electricity coming from petroleum, 34% from natural gas, 17% from coal and only 2% from renewable energy. Now is the time to make decisions about Puerto Rico’s future energy needs. How will Puerto Rico get its power in the future? PREPA, the Puerto Rico Electric and Power Company, Puerto Rico’s only utility company, is mismanaged and highly in need of upgrading according to some sources. According to http://www.commondreams.org, it would be a waste to pour more money into this system. Instead, we need to invest funds into local renewables and energy efficient transportation, such as streetcars and light rail trains. Ta’u, a small island in Samoa, is also changing from diesel to renewables. Today it’s powered by 5,000 Solar City solar panels and 60 Tesla Powerpack battery storage units. The Powerpack is a massive battery, 16 Powerwall battery pods encased in a weatherproof box, that can store electricity during the day when supply is abundant and discharge it when demand goes up after the sun goes down. This system provides the island with about 99% of its needs. 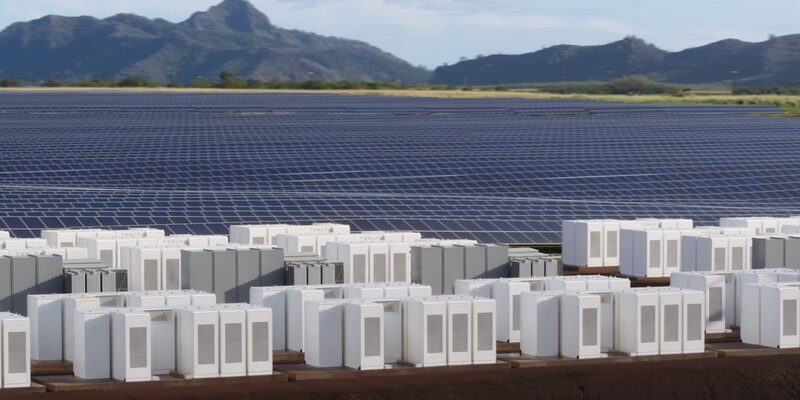 Tesla solar project in Hawaii. Tesla is also in the process of shipping battery packs to Puerto Rico, but details of the project have not yet been made available. Building sustainably in Puerto Rico can take many different forms and accepting help from Tesla could be a starter. Categories: Building Green, Climate Change, Fossil Fuels, Renewable Resources, Solar | Tags: #climatechange, #renewableenergy, Fossil fuel, Renewable Resouces | Permalink. Temperatures are steadily rising on our planet. The President’s Decision Will Have Major Effects on People, the Environment, and the International Status of our Country. June 2, 2017—-The United States has been a world leader for decades in the effort to take action to slow or stop the warming of planet Earth. In 1992 a United Nations conference know as the Earth Summit was held in Rio de Janeiro, Brazil. 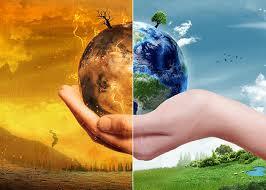 At that conference the United Nations Framework Convention on Climate Change was adapted. The United States played a key role in that conference, where the to reduction of emissions from greenhouse gases was initiated. Negotiations were held in Kyoto, Japan in the fall of 1997. Opposition to the Protocol by the corporate world was so great that the negotiations nearly collapsed. Representatives of the United States pleaded for adaption. Then vice President Al Gore led the fight for adoption. The supporter of the document won. The treaty finally came into full force in 2005 when enough countries satisfied the criteria necessary for adaptation. The United States became a leading proponent of the Paris Climate agreement of 2015. The agreement will greatly reduce the emission of greenhouse gases in the years ahead. It was agreed to by almost every country in the world. America’s leadership in taking action on climate change may be shredded. The GOP now controls the federal government and most state governments. Their position is that profits are more important than people. Greed is the primary ethic driving this policy. The newly elected president has laid out extensive plans that will essentially prevent any action from being taken to reduce the risk of climate change if it will affect corporate profits. First and foremost the president has repeatedly stated that he would withdraw the United States participation in the Paris Climate agreement. As a major producer of these gases the decision to withdraw from the agreement spits in the face of every other country and every individual living on the planet. His stance on the agreement was a major topic at the Group of Seven (G7) meetings in Taormina, Italy this past month. The group of seven includes Britain, Canada, France, Germany, Italy, and japan in addition to the United States. Since the United States is the second leading country in the production of greenhouse gases, it would severely reduce the importance of the agreement. It is second only to China which has signed onto the agreement. Many very important persons on the international scene have encouraged President Trump to keep this country in the agreement. The first on the current trip to admonish Trump on the environment was the Pope, who gave Trump a copy of his encyclical on the environment. Others that made a strong case for the US staying in the agreement were major players in the European Union. What the United States does on this issue is of global importance since we are such a large consumer of energy and source of greenhouse gas emissions. At the time of this writing it is unclear what decision the President will make. He can stay with his plan to withdraw us from the world agreement in favor of profits, he can keep us in the agreement and lower our goals for cutting greenhouse gases, or he can decide to keep this country in tune with the rest of the world and honor our pledge to do something about global warming and climate change. If he decides on the latter it will at least do two things. One, announce to the world that profits for American corporations are the number one goal of his administration, and two, decide to further tarnish our image and trust by the rest of the world! Do your part in reducing CO2! Categories: Climate Change, Fossil Fuels, Renewable Resources, Sustainable Education | Tags: #climatechange, #renewableenergy, Fossil fuel, Kyoto Protocol, Renewable Resources | Permalink. Record breaking temperatures and little rain. July 22, 2016—Global warming is occurring over the entire planet and record high temperatures have become common. The Indian subcontinent is no exception. Early written history documents heat waves and droughts.While temperature records were not available prior to the late 19th century, written descriptions indicate the severity of some earlier events. In the mid-eighteenth century the people of India were largely subsistence farmers. It was primitive crop agriculture subject to the vagaries of the monsoon. The country was under the control of the British East India Company, which kept the farmers on the verge of starvation under the best of conditions. Because of the general poverty of the mass of the population, and the marginal food supply, only a small shortfall in rain produced scattered starvation. India is a large country, and at the time only a ponderous transportation system existed. There was no means of moving large quantities of food, or of moving people to more productive areas. Therefore, when drought set in, the alternatives were few. 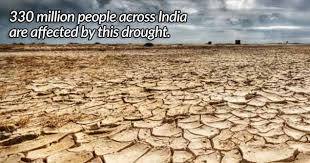 The beginnings of a prolonged drought and massive famine began in India in the fall months of l768. Rainfall was below normal and the crops were poor in December. The summer monsoons did not produce the usual rain in l769 and again the crop yields were scanty. By April of l770, over 30 million people in West Bengal and Bihar were directly affected. Estimates of deaths ranged upward to l0 million. The deaths were due to a combination of starvation and disease. Smallpox became epidemic in association with the drought. The death toll was exacerbated by the flood of people that fled the countryside and moved into the cities looking for sustenance. There was little to be found. It was just a little more than a century later that drought and famine struck India with even more lethal results. The atmospheric circulation began to shift as early as 1873 in central Asia. Summer monsoons weakened for a number of years. By August 1877 the Indian government was well aware that a major famine was in progress and was going to get worse. Since rainfall was low there was insufficient feed for livestock. Wells, ponds and streams dried up. The lack of feed and water resulted in extensive loss of animals. Rainfall was so low that there was no measurable summer crop harvested in many districts. Human mortality was high. Following the poor summer harvest, dysentery, smallpox, and cholera flared up into epidemic proportions taking a heavy toll of the population. In Bombay Presidency (Providence), the excess mortality from the famine of 1876-1877 reached 800,000 lives over the normal death rate. The Famine Commission estimated that by the end of 1878 the loss of life in the Providence totaled 3.5 million. 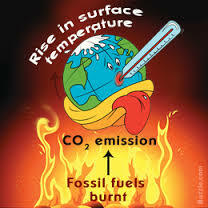 Global warming raises temperatures around the world. In May 2015, a heat wave in India claimed at least 2,500 lives. Extremely high temperatures were reached in cities scattered over the country. Power outages were wide spread. The city of Khammam recorded the highest temperature ever recorded there at 48 degrees C (118.4 degrees F). Other high temperatures were:Allahabad 47.8 degrees C (118.0 degrees F) Delhi 45.5 degrees C (113.9 degrees F)Hyderabad 46 degrees C (115 degrees F) Jharsuguda 45.4 degrees C (113.7 degrees F). In June 2015, the deadliest heat wave known to have occurred in Pakistan took place in the southern part of the country near Karachi. The death toll is unknown for certain but may have reached more than 1000. It was followed by several weeks of the most severe heat wave to strike India. The heat wave struck during the month of Ramadan which made the impact of the event more severe than it might have been. Unfortunately, city services could not cope with the heat. India experienced even higher temperatures this year than in 2015. Temperatures were above normal most of the spring. Normally, the hottest months of the year are April, May, and June, before the summer monsoon rains begin. In May a severe heat wave alert was issued for several states. A severe heat wave is one in which temperatures of at least 117°F (47.2°C) occur. In the city of Philodi, in western India, unofficial temperatures reached 124°F (51°C). This is the highest temperature on record in India. Temperatures averaged above 104 degrees F (40°C) over large areas. Some urban high temperatures were New Delhi 47 °C (117 degrees F) Churu 50 °C (122 ºF)Philodi 51.°(124 degrees F). The impact in India was immense. More than 300 million people have been been adversely affected. Crops failed or were below average in 13 states in the last growing season. Thousands of farmers abandoned their farms. In places the asphalt on the streets partially melted. At Bikaner, the streets were being sprinkled with water to reduce the heat. 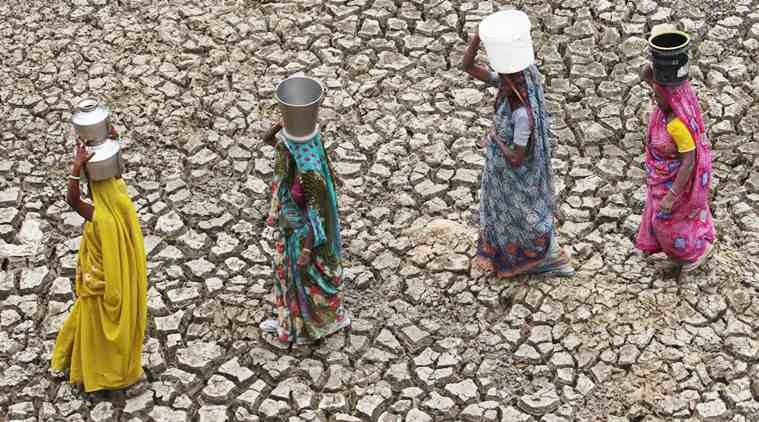 17,000 villages had, or were facing water shortages. Several Indian states shut down schools to reduce risk to students. Heatstroke was a widespread problem and many deaths were reported across the region. Fortunately, the government responded in a variety of ways to reduce the suffering and mortality. Forecasts for the summer monsoons are far above average precipitation. The first monsoon rains began in the south in the second week of June. Only time will tell if the monsoons will be enough to break the drought. As the planet warms it can be expected that: (1) there will be more severe heat waves and they will become hotter, more frequent, last longer, and occur in more varied places. 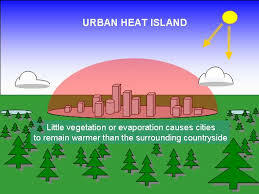 As cities grow larger in area and population, they will experience increasing heat waves. (2) new record high temperatures will be set across the planet. 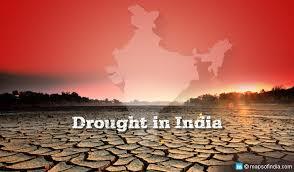 Categories: Climate Change, Energy Programs, Extreme weather, Population, Poverty | Tags: Climate change, Drought in India, Fossil fuel, India, Population | Permalink.